Hello and Welcome to our preview for Melbourne Stars vs Sydney Sixers match. 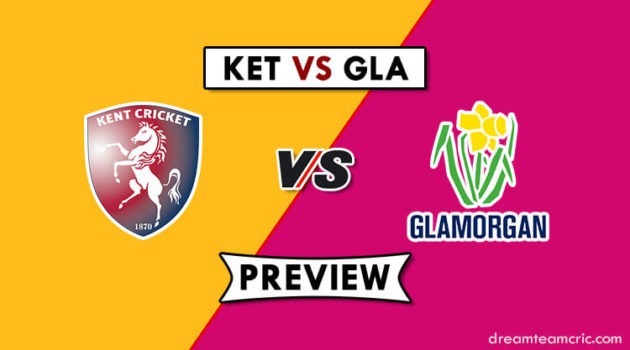 We are covering MS-W vs SS-W Dream11 Team Prediction, Preview and Probable Playing XI for the Women’s Big Bash League 2018-19 match. The match is to be played at Melbourne Cricket Ground. Melbourne Stars did not have a good season and have won only four encounters from their twelve matches. They got their last victory six matches back. They lost their last match to Brisbane Heat by 7 wickets. Batting first, They collapsed at 88 runs with Mignon Du Preez being top scorer scoring 27 runs. Their bowlers failed to put a good show thus leading to an easy win for the Heat. They will hope to end their dreadful run in the season by giving a tough challenge to mighty Sydney Sixers. Sydney Sixers are on the top of points table with ten wins and three losses. They defeated Melbourne Renegades by 29 runs yesterday. Batting first, Ellyse Perry continued her dominance scoring another unbeaten knock of 67 runs and was supported by Erin Burns who scored 53 runs in 37 balls to lead the team to a total of 136. Defending the target, They restricted Renegades at 107 with L Cheatle taking two scalps and was supported by other bowlers. They will hope to enter the semi-finals winning their last league match. MS-W vs SS-W, 56th Match, Women’s Big Bash League 2018-19. Nicole Faltum (wk), Holly Ferling, Nicola Hancock, Alana King, Lizelle Lee, Katie Mack, A Reakes, Annabel Sutherland, Erin Osborne, Chloe Rafferty, Mignon du Preez, Katey Martin, Kristen Beams. Alyssa Healy (wk), Marizanne Kapp, Sara McGlashan, Ellyse Perry, Hayley Silver-Holmes, Lauren Smith, Dane van Niekerk, Tahlia Wilson, Erin Burns, Lauren Cheatle, Ashleigh Gardner, Sarah Aley, Jodie Hicks. They have announced unchanged 13 women squad for the match. Place of Nicole Faltum is risky as Katey Martin and Lizelle Lee are two able wicket-keepers available in the squad. Katie Mack can play in her place. Lizelle Lee and A Reakes will open the innings. Mignon du Preez, Katey Martin and Erin Osborne will follow them. N Hancock and Holly Ferling will spearhead the pace attack along with A Sutherland. Erin Osborne and Alana King will be the key spinners. Chloe Rafferty has been part of squad for many matches but has not got a chance in the playing XI and can be finally given some game time in their last match replacing Nicole Faltum or any other player. E Perry, Ashleigh Gardner, Erin Burns, Dane Van Niekerk and Marizanne Kapp will play the role of allrounders. Ellyse Perry, Marizanne Kapp, Hayley Silver-Holmes, Sarah Aley and Lauren Cheatle will lead the pace attack while Dane Van Niekerk and Lauren Smith will be the key spinners along with A Gardner and Erin Burns. Jodie Hicks has slight chance to come in the playing XI before the crucial semi-final match. Sara McGlashan can be rested for the same. Sydney Sixers have already qualified whereas Melbourne Stars are out of the competition. So both teams can make any unpredictable change in their XI. Lizelle Lee, A Reakes, Mignon du Preez, Katey Martin, Erin Osborne, Annabel Sutherland, Alana King, Nicola Hancock, N Faltum (wk)/Katie Mack, H Ferling, Kristen Beams (c). Alyssa Healy (wk), Ellyse Perry (c), Ashleigh Gardner, Erin Burns, Sara McGlashan, Dane Van Niekerk, Marizanne Kapp, Lauren Smith, Sarah Aley, Hayley Silver-Holmes, Lauren Cheatle. MS W vs SS W Dream11 Team. In wicket keeper both A Healy and L Lee are good. Captain and Vc choices: E Perry, A Gardner, E Osborne, A Healy, Lizelle Lee, M Kapp. 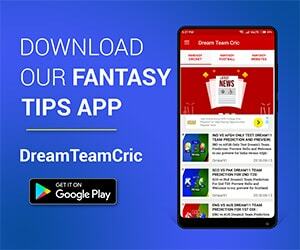 If you liked MS-W vs SS-W Dream11 team prediction, then follow us on Twitter for Latest Cricket News and Grand League Teams.